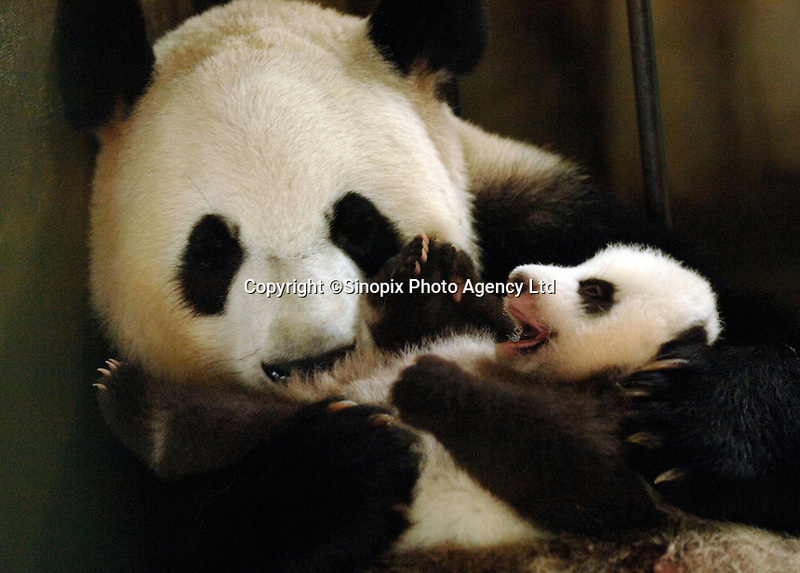 Super breeder Ya Ya and her cub Xiao Ya, born 19th August 2006 at the panda nursery facility at the Chengdu Giant Panda and Research Base in Chengdu, China. Ya Ya is currently the number one breeding mother and has had a total of eleven cubs. An unprecedented 26 panda cubs were born in China in 2006, the advances are put down to scientific breeding practice and changes in the diet.